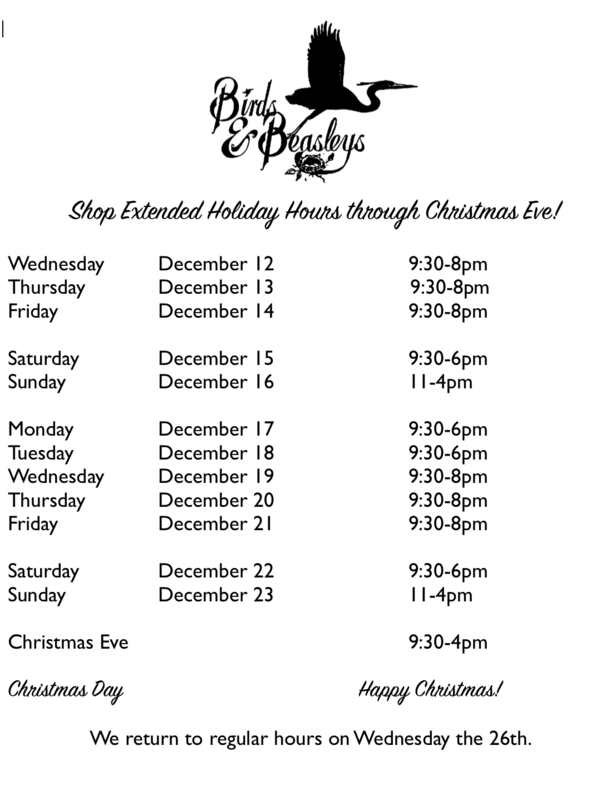 Shop at your leisure during Extended Holiday Hours! 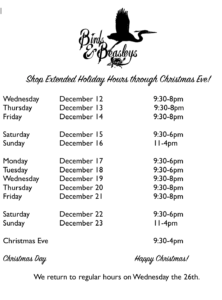 Birds & Beasleys is a unique art gallery and gift shop located in Downtown Helena, Montana. You’ll find original works of art by Montana artists. We are known for our large variety of gifts in a wide range of prices, plus our excellent customer service. Additionally, we are a wild bird feed and supply house. Find everything you need for your backyard feathered friends, premium birdseed, unique bird houses, and feeders.